In this opening session, hear from speakers like Janelle Monáe, Olympic fencer Ibtihaj Muhammad, Cubs President Theo Epstein, and Obama Foundation program participants who are bound together by a shared hope that our best days are ahead of us, as long as we put in the work. 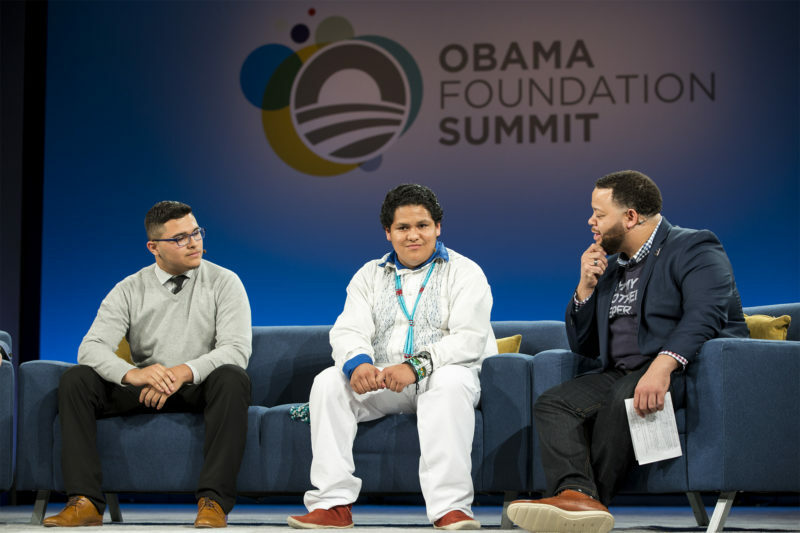 See the faces of the Obama Foundation Summit, and how they're working to build meaningful change in their communities. 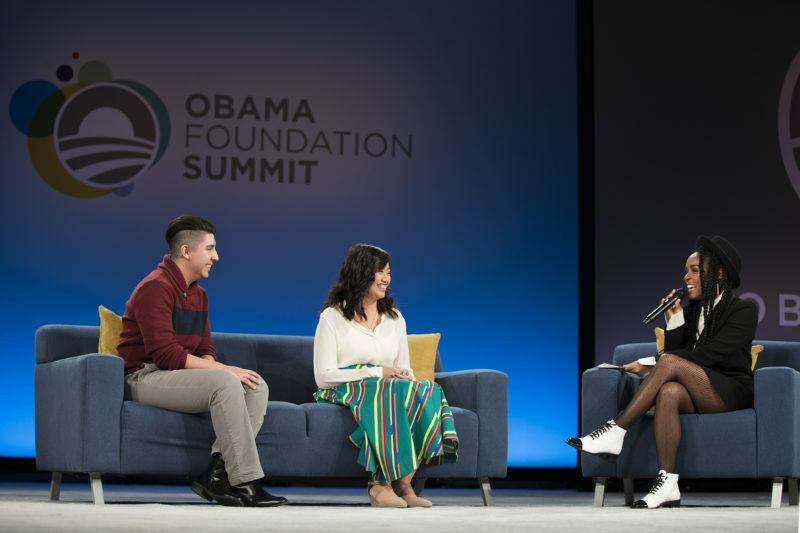 Janelle Monáe and Community Leadership Corps members Danny Flores and Anna Dong share their stories and how their communities have helped them find their voices. Make sure that everyone who should has a place at your table. Find out who is missing and make it comfortable for them to join. MBK Alliance Executive Director Michael Smith speaks with winners of the MBK Alliance Community Competition. You are somewhere that is someone’s home. I’ve always had that feeling inside that I was fighting for anyone who has been told no. 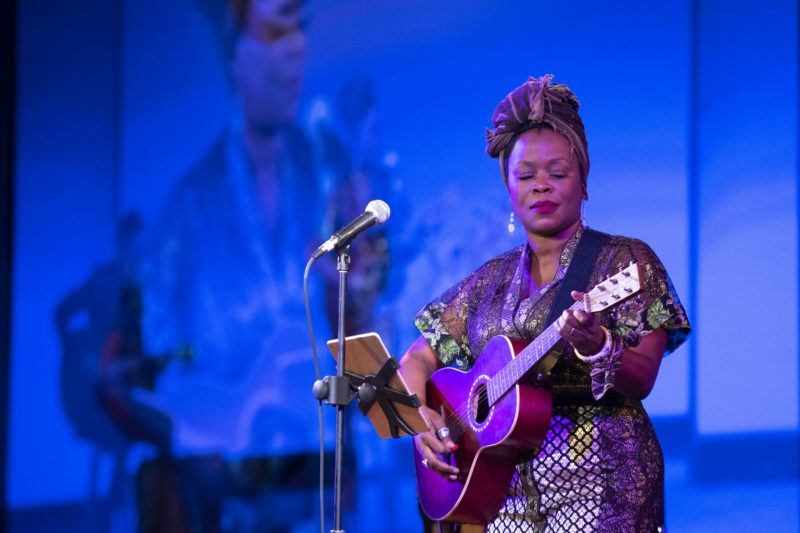 songwriter and jazz vocalist Queen Esther and guitarist Jeff McLaughlin closed out the first session of the Obama Foundation Summit with a powerful performance. 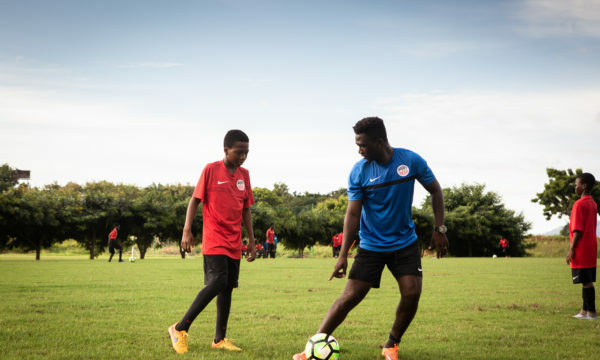 Africa Leader King Gyan develops future leaders through sport. 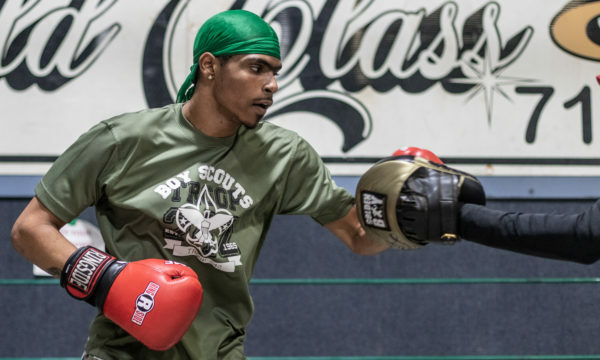 Asa Singleton steps in the ring to showcase his talents as an MBK Youth Ambassador and emerging leader.